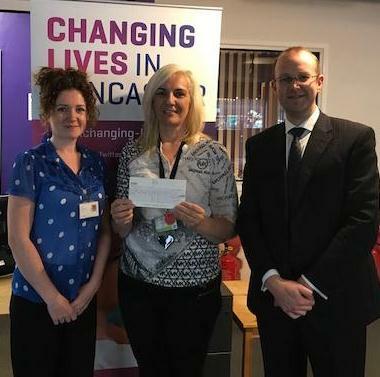 hlw Keeble Hawson’s Doncaster office has donated over £1,400 to Changing Lives which provides specialist support for 6,000 socially excluded and vulnerable people every month. The nationwide charity’s pioneering and innovative programmes are instrumental in helping people to make positive, lasting changes. Its support services for women and their families include dedicated recovery centres, temporary and long-term accommodation opportunities – and employment and volunteering opportunities. The firm’s family team has been working with Changing Lives in Doncaster since September 2016 – offering a fortnightly free legal clinic on a Tuesday between 10am and midday. Earlier this year hlw Keeble Hawson employees also hosted a special racing event via a big screen to boost funds for the charity. A champion of giving back to its local communities, hlw Keeble Hawson is one of Yorkshire’s biggest law firms in Yorkshire with offices in Doncaster, Leeds and Sheffield.